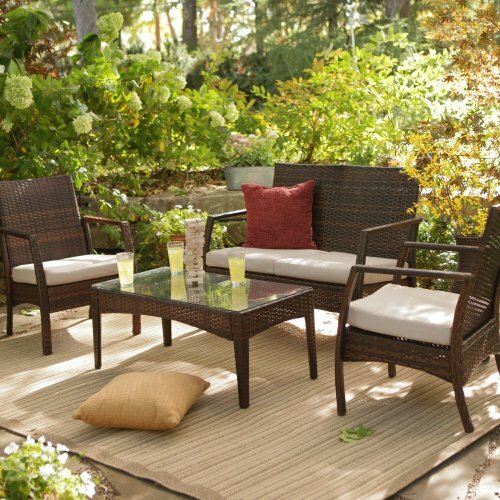 Once the Coral Coast Parkville All-Weather Wicker Conversation Set gets to your house, you’re going to sit outside for the same reason that people climb mountains, chase tornadoes and post videos of themselves doing amateur dirt-bike stunts on Youtube. You’ll do it because you can. 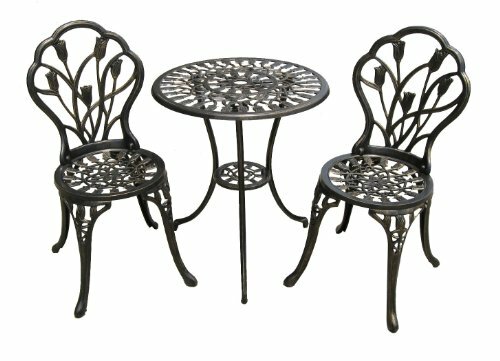 And you’ll be able to sit outside in any season, thanks to the resin wicker exterior on a steel frame that makes up this all-weather set. 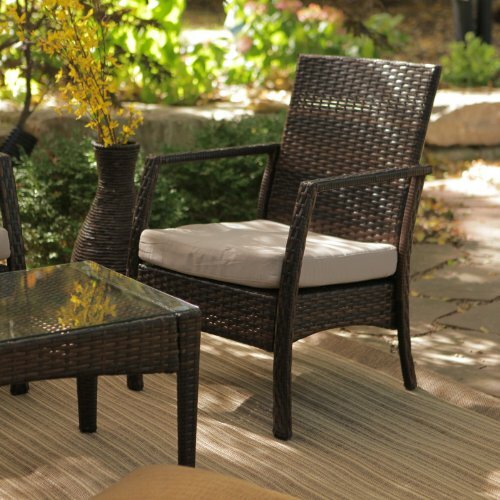 Resin wicker is similar in appearance to wicker, but its plastic-based form resists moisture, wear and rot. 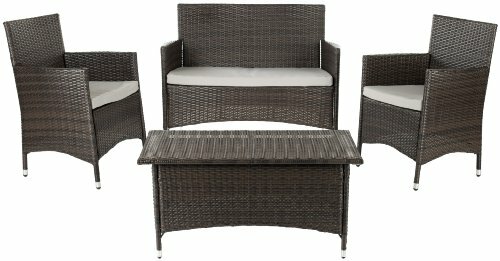 Four seat cushions are also included, covered in a beige outdoor fabric that complements the variegated brown tone of the wicker. 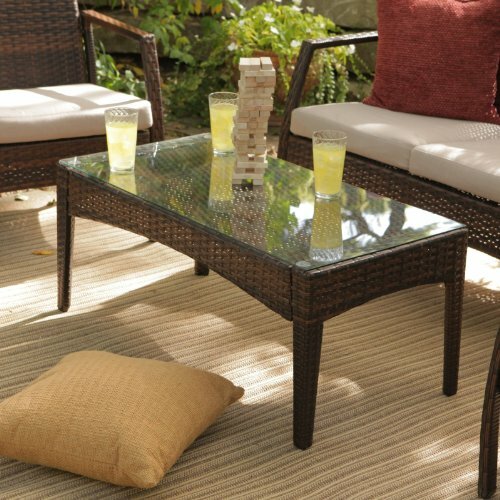 The center coffee table includes a glass top to complete the look of this modern outdoor ensemble. Each chair weighs 18 lbs, the coffee table weighs 12 lbs and the loveseat weighs in at 32 lbs. Some assembly is required. Chair Dimensions : 23W x 26. 75D x 35H inches Loveseat Dimensions : 45W x 26. 75D x 35H inches Coffee Table Dimensions : 39. 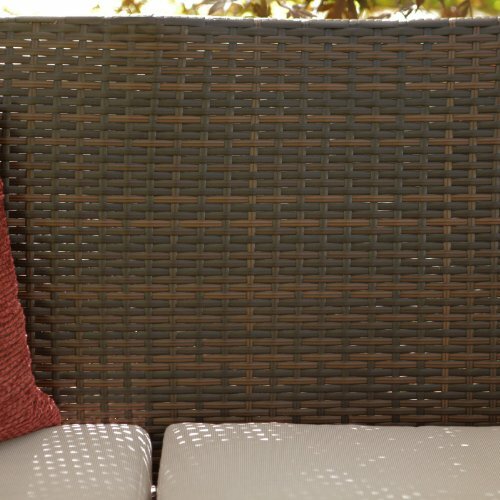 75L x 20W x 16H inches About the Cushions While this cushion fabric is highly water-repellent, if left out in the rain or under sprinklers, it will absorb moisture along the stitching. 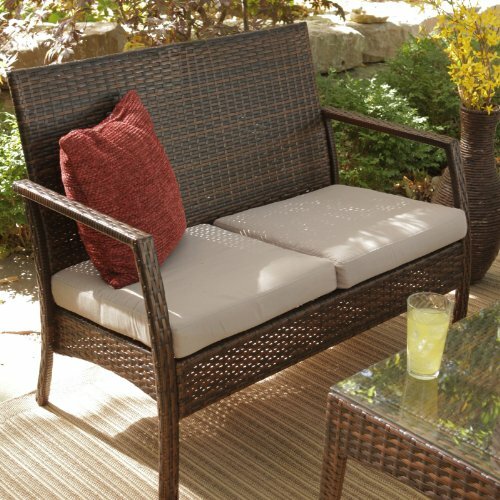 We recommend that you cover the cushions or store them indoors when not in use. If the cushions do get wet, stand them on their side and allow the water to drain out of the stitched seam. To clean, use mild dish soap and water, do not use harsh chemicals. About Coral Coast What if, when you closed your eyes, you pictured yourself in your own backyard? 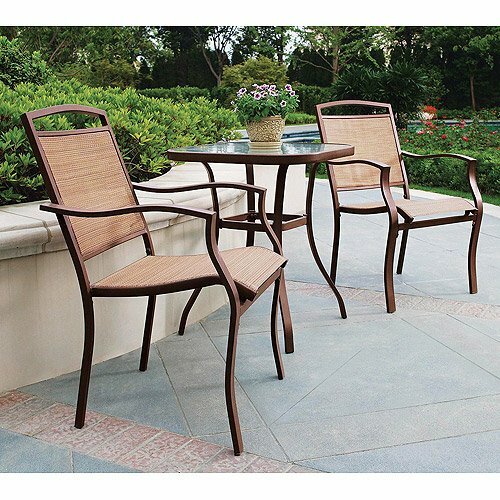 Coral Coast has a collection of easygoing, affordable outdoor accessories for your patio, pool, or backyard. The latest colors and styles mingle with true classics in weather-worthy fabrics and finished woods, ready for relaxation. Make yours a life of leisure. 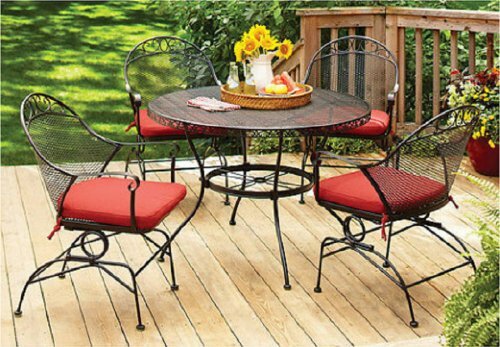 Durable outdoor set offers quality at affordable price. 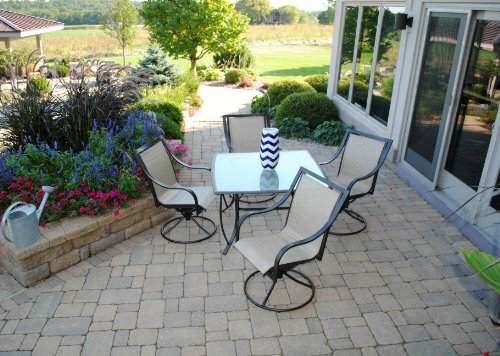 All-weather resin wicker over a steel frame. Variegated dark brown tones for a natural look.